Modern technology is what makes mini security cameras possible and affordable today. In fact entire mini security camera systems can be "made to order" to suit just about every individual need and with Internet availability you can have absolute control almost anywhere you go. 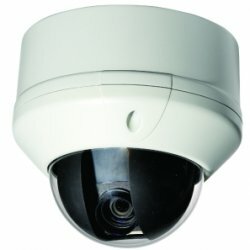 Security Camera King features several different mini security cameras in our on-line catalog of security equipment. The world of mini security cameras continues to grow by leaps and bounds. Many individuals probably associated mini security cameras with espionage in the past, but there are numerous legitimate uses for these miniature wonders. In fact, they are probably quite useful in a variety of surveillance applications. While many designs won’t offer the same level of resolution that one would expect from a larger platform, the quality of small lenses continues to improve. It’s rather likely that all security cameras will see massive size reduction in the near future. However, that shouldn’t discourage anyone from grabbing a new unit today. 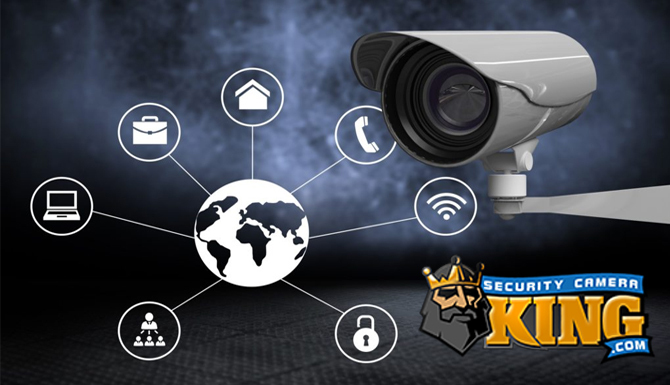 The Security Camera King offers low prices that many people will want to take advantage of immediately. This means that numerous mini security cameras will probably fly off the shelves based on price alone. That shouldn’t lead people to believe that quality is an issue, however. Poor quality cameras would never make it to the shelves of an eminent dealer. 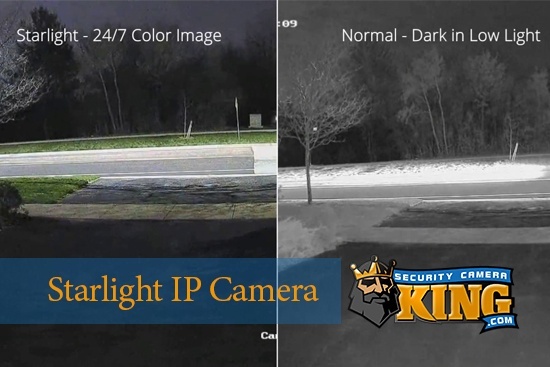 Anyone that purchases mini security cameras from the Security Camera King should have no fear in regards to the condition of the equipment. These devices are always top of the line. There was actually a time when cameras were significantly larger than today. People probably have fond memories of the large surveillance devices that used to stand in the front of commercial properties. These are still used in many areas. Large installations are probably some of the easiest to replace with mini security cameras. Even if the goal were simple to save space, smaller cameras would be able to fit the bill. Wireless cameras can be easily hidden in plants. This also means that a bit of redecorating could accompany the installation. There are plenty of businesses that could do with a bit of sprucing up, and a new image can be a great way to kick off a promotion. Coupling this with quality surveillance is an excellent way to show that one cares about security. 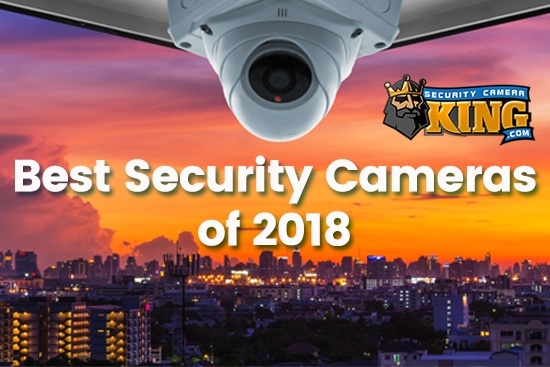 Mini security cameras work perfectly for regular security surveillance, but they really shine when it comes to certain specialty uses. They are small and are easy to fit into hard to reach areas. Some people have used them to surreptitiously monitor a babysitter, and others have used them to watch over their children. While some ethicists might question such uses, most people would be able to find plenty of decent reasons to use mini security cameras. In fact, some people have even used them to pull off various types of pranks. 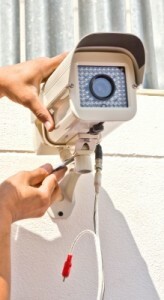 The process of installing mini security cameras is different in various situations. Some devices use wires while others are wireless models. Most of the steps will be the same for both types of device, but those that want to set up a wired camera will have to figure out how to route the cables. While this might make wireless cameras appear to be extremely attractive, there are some situations where people would prefer to use more reliable wired designs. Strong electromagnetic fields can interfere with wireless connectivity, and this might make some people think twice about using them next to other types of radio transmitters. That being said, most wireless cameras work on microwave frequencies. Therefore, this shouldn’t even be a concern in most cases. For instance, some people use VHF equipment for two-way communication. Organizations that do shouldn’t even realize that they’re operating close to an installation. This also means that people that install these devices shouldn’t have to worry about crooks that try to look for wireless connects through simple means. Some people try to find bugs by listening for interference on an AM radio, but this method may not be vigorous enough to find mini security cameras. Naturally, no one wants a hidden installation to be discovered. This makes microwave cameras especially popular for such uses. Anyone that has problems should be able to clear them quickly enough, because of how robust mini security cameras really are. Keeping a few quick tips in mind should help prevent anything from happening, but it is important to remind that mini security cameras are robust. They might seem fragile, but they can stand up to a lot more punishment than most users even realize. If something seems wrong, it can usually be corrected in a manner of moments without too much trouble. Anyone that notices a problem with image quality might just need to realign the camera’s antennas. Simply adjusting the height of the device or moving the antenna around is usually enough to correct scratchy images on wireless cameras. It is very similar to adjusting the antenna on a portable radio to get the best reception. Keeping the camera away from baby alarms is also usually a good idea. Once again, though, it might very well be able to work around these sorts of things if the wavelength is different. Considering the fact that many baby alarms function on the 49 MHz band, it might not be a problem at all. Wifi networks could cause a bit of interference, but IP cameras actually use them to function. Naturally, an IP camera that uses Wifi shouldn’t mess with a Wifi connection. Microwave ovens might cause some scratches in a displayed image, but simply moving the camera can do this away with any visible glitches. The radio frequencies that mini security cameras utilize are usually sufficiently different from other devices. While it might sound simple, users should always check to make sure that the connections on the receiver are tight and connected to the right jacks. This is really easy, and connecting the cables should only take a few moments. However, double-checking to ensure that they’re correct will save a minute or two later on. Some industry insiders like to customize their mini security cameras, and a hood is the perfect way to customize an installation. Do-it-yourselfers will probably want to make a hood out of black paper and affix it around the outside of the lens to block out extra sunlight. This can dramatically cut down on hazing effects in the image. Of course, there are plenty of commercial options for those that aren’t so artistically inclined. A commercial hood also has a much more professional appearance to it than construction paper. One might want to first mess around with their own design and install a professional sunshield once they are sure that they have it in the right place. Shade also helps, and security camera gurus love to use the eaves of buildings as a place to set up very small cameras. After inspecting to ensure that bees haven’t called the eaves of a house their home, one can easily turn the area into their own security camera mount. This is one of the best uses of mini security cameras, since they can fit anywhere. A bit of adhesive or a tack should be more than enough to make sure that a particular camera is held into place. Many of these installations are also quite maintenance free. The overhang helps to keep out harmful UV rays from the sun, and rain is usually diverted out of the way. Perhaps the best part about it is the fact that crooks can’t even see that they’re being taped. However, it should be remembered that some mini security cameras are actually designed to look like other objects. There are numerous models that are disguised as one thing or another. These can be left out in the relative open. After all, people would probably recognize them for what they really are. Naturally, the cameras are still supposed to be kept out of reach to some degree. No disguise is perfect, and one could easily discover that something is up by taking a closer look. However, a pair of sunglasses on top of a refrigerator or cabinet would never raise anyone’s suspicions. Only the individuals in charge of surveillance would ever have to know that a camera was actually in service. With great power comes great responsibility, so no legitimate surveillance organization would ever actually condone usage that would break local laws. Individuals that want to set up a clandestine monitoring system should be sure to check out what is considered lawful in their local community. A sign altering people to the fact that video surveillance is active will prevent crime in some cases. On the other hand, there are plenty of justifiable reasons why one would want to keep their monitoring practices from the general public. As well as sunglasses, the Security Camera King has offered mini security cameras in several other packages. A cigarette lighter camera can be useful on a table, and these wireless designs are great for those that don’t want to raise any suspicions. The miniature desk clock model is probably one of the best-known examples of this technology. Every business needs to know what time it is. In most situations, mini security cameras that are stuffed into clocks are also functional as timepieces. This means that people will feel comfortable around them, and they’re even useful outside of the closed circuit TV system. In fact, there are probably numerous regular clocks strewn about countless businesses. Replacing one with a new model is an expected business practice. Even criminals that had been looking at an area for a long period of time wouldn’t notice that anything had changed. This means they might be in for a big surprise if they actually tried to do anything. Perhaps one of the more interesting designs is in the head of a screw. A Phillips head screw camera has to be one of the most novel devices ever developed. The physical size of the device is enough to make even the shiftiest of characters ignore the camera. It could be mixed on a table with a bunch of other implements, or even placed on a shelf to make it appear that it was left there after the shelf was screwed into the wall. For that matter, one could probably carefully screw mini security cameras into furniture itself. Care would have to be taken to ensure that the process didn’t damage the lens at all, but that doesn’t mean that it can’t be done. These are very robust designs, and should be able to hold up to a bit of work. The same sort of do-it-yourself builders that would make their own sunshields might want to give this sort of project a try. Creative users might also want to use a screw camera in a hardware store or a workshop. A camera would never be out of place in that type of an environment. This class of mini security camera can also be used in a temporary capacity. If someone wanted to monitor an area for only a short period of time, the camera could easily be dropped at the site and watched from a remote location. This lends itself to other uses outside of the surveillance world as well. Some model railroad enthusiasts have used mini security cameras mounted on miniature freight cars to record footage of their train layouts. Footage taken in this way would look as though a scale model person was filming it from their perspective. In fact, there is already a ready market for model train cameras. However, many makes of mini security cameras are actually superior to the model train designs. For this reason, discriminating model train buffs often take a closer look at mini security cameras. Due to the fact that mini security cameras are so small, one might want to experiment with their own enclosure. Wireless pinhole cameras can be stored anywhere. One might want to make a hole in a box and have a camera watching inside. A case of tissues can easily become a monitoring post. A needle is probably all that’s required to make a hole for many of these designs. Few people would ever notice something so obscure. 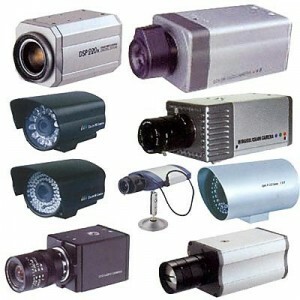 There are many areas where people would want to use mini security cameras. While these are usually hidden areas, some of them are far more creative than others. Mini security cameras can be stashed away in many other types of objects because of their size, and this means that they can often go undetected.